Chapel Hill, NC – Rock & Sock Records announced today that their recording artist, Tokyo Rosenthal, will be releasing his sixth studio album on their label on August 1, 2015. 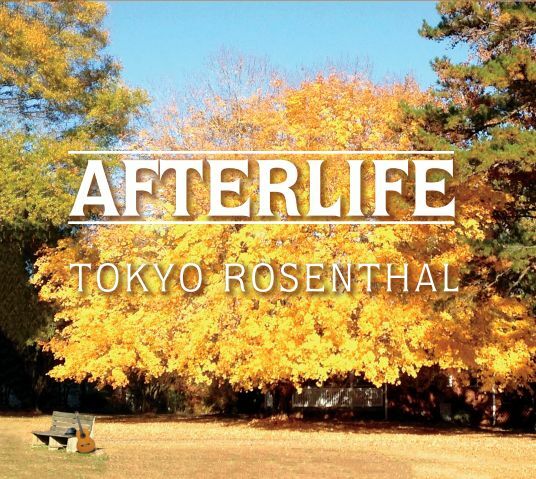 The new album is entitled “Afterlife”. It’s Rosenthal’s first release in over two years and the disc contains 10 original compositions as well a new video for the single, “The Cold War”. The new tunes cover subjects as diverse as the Deep South, child loss, illness, burials, war options, and two of Toke’s favorite performing venues. Joining Tokyo on this record are some of his regulars as well as some new contributors. Chris Stamey once again performs on bass as well as engineering the record and assisting in the production. Andrea Connolly returns to help on vocals. David DiGiuseppe takes a larger role in this Tex Mex leaning album with his great accordion playing. 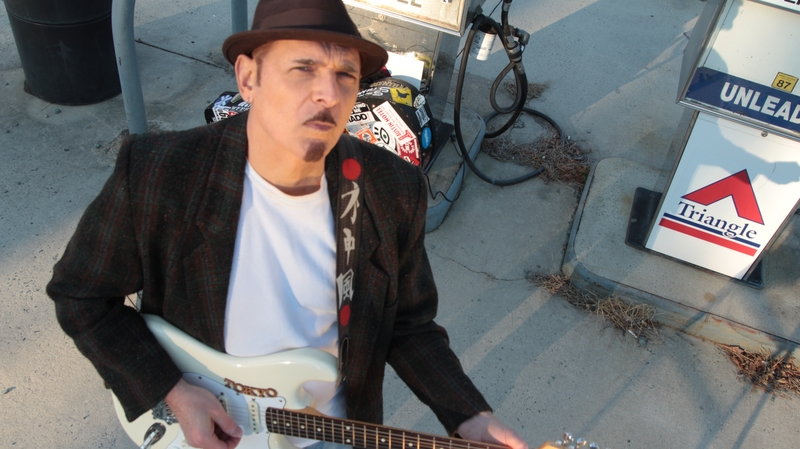 “Toke” of course plays both lead and rhythm guitar, piano, and harmonica. He authored all songs as well as handling lead vocals on each track. The new collaborators bring some diversity and new sounds not heard before on a Tokyo Rosenthal project. Recent Rosenthal tour partner, Jick Wins-Low, handles the drum chores as well as mandolin. Dobro makes it’s Tokyo Rosenthal debut with the stellar picking and sliding of Dan Mahoney. Tom Ed White brings his viola to the party and Juanito Laguna lends his Mexican heritage to the album with his Charango. Rounding out the eclectic sound of “Afterlife” is Emily J. Farmer on French Horn. “It was great to have the opportunity to record with such a variety of great players,” said Rosenthal. “It allowed me to take chances and put out a very different sounding album. I missed being in the studio and after many months I’m quite pleased with the results. Also, I’d be remiss if I didn’t mention the great job by Brian West who produced the video for “The Cold War”. It really captured what I was trying to say on that track.” The video of “The Cold War” can be seen here. The brilliant album design was made possible thanks to the beautiful cover picture by Carrie Klein and on the back by Mike Green. Chapel Hill, NC – Rock & Sock Records recording artist, Tokyo Rosenthal, has been selected to host a weekly, syndicated radio show featuring live performances by Americana singer-songwriters. The show, aptly titled “The Tokyo Rosenthal Program”, will be recorded “live to disc” beginning June 5th. Distribution of the program will be worldwide. The show will emanate from The Pittsboro Roadhouse in Pittsboro, North Carolina before a live audience. Pittsboro is situated adjacent to “The Triangle” of North Carolina which includes Chapel Hill, Durham, and Raleigh. The format will have “Toke” as the performing host as well as weekly guests from all over the country. Rosenthal likes to say that the program will be akin to the old “Johnny Cash Show” on TV. “I will be opening the show with a couple of tunes before bringing on the guests,” said Rosenthal. “And before the evening is over I’m sure there will be some jamming as well. The highlight of Johnny’s show for me was when he played with Dylan, Joni Mitchell, Neil Young and his other guests. We’re gonna have some fun like that and we’re going to keep it organic and not over produced.” Tokyo’s touring partner, Daniele Cagnotto, known the world over as Manguss, will be accompanying Toke as well as the guests on occasion. Stations and networks are signing up now for the one hour weekly broadcast. Those already on board include WCHL (the show’s flagship station in Chapel Hill), CMR Nashville, Wrecking Ball Radio, and The Wildman Steve Network. Over the next several weeks Rosenthal and company will announce the affiliates as well as the weekly schedule of guests. Plans are also in the works for a video version of the show. Tokyo Rosenthal is an award winning singer-songwriter from Chapel Hill, North Carolina. His last album, “Tokyo’s Fifth”, placed high on all the Americana Charts, received critical acclaim, and earned him an honor in Ireland for the song, “Killaloe”. The video of the single, “What Did I Used To Be?’, went “mini viral”. Toke’s next studio release is scheduled for January 2015. Chapel Hill, NC – Rock & Sock Records announced today that they are releasing “Tokyo’s Fifth” by their recording artist, Tokyo Rosenthal. Appropriately titled, this is Rosenthal’s fifth album on the Rock & Sock label, and number five in only six years. The record includes 9 new original tunes penned by “Toke” and a rare cover of Lennon and McCartney’s “Helter Skelter”. Also included on the new CD is a video of the album’s first single, “What Did I Used To Be?”, which went “mini-viral”. This is Tokyo’s latest release since the critically acclaimed “Who Was That Man?” from 2011. That album made the Top 10 on most Americana Charts. Tokyo is joined once again by a stellar cast of musicians including himself on lead and rhythm guitar, piano, organ, and vocals. Chris Stamey (dB’s) returns on bass, Will Rigby (Steve Earle and dB’s) and Logan Matheny on drums, Toke’s constant touring partner Charlie Chamberlain on mandolin and lead guitar, John Teer (Chatham County Line) on fiddle, Allyn Love (Pedal Steel), and Matthew Douglas and David DiGiuseppe round out the players on clarinet and accordion respectively. In addition, Tokyo is accompanied on vocals by the amazing talent of Andrea Connolly. As eclectic as ever, “Tokyo’s Fifth” opens with a clarinet lick and continues to demonstrate his versatility in writing and arranging throughout the entire album. As always the subject matter is controversial, political, and personal. Never a stranger to controversy, Toke covers unemployment, suicide, and out sourcing on the album’s first single, “What Did I Used To Be?”, and the immigration situation in Arizona on “The Immigrant”. Tokyo revisits songs dedicated to cities and neighborhoods with “Killaloe” and “Mulberry Place”, and euthanasia on “We Put You Down”. Rarely recording material by other writers, Rosenthal, along with the screaming violin of Chatham County Line’s John Teer, take on “Helter Skelter”, in a very creative and unique arrangement of The Beatle’s classic. Andrea Connolly’s vocal harmonies were born to be on Tokyo’s ode to his father, “Waste Of A Heart”, the reggae styled, “Smoke and Mirrors”, and she will bring a tears to your eyes on her heartfelt duet with Tokyo on “We Put You Down”. As of this writing, Clare FM Radio in Ireland, will be giving “Killaloe” its radio debut on their station, and Toke has been asked to come there to be honored and perform in concert early in 2013. Rosenthal will begin touring world wide and visiting radio stations to support the “The Fifth” and will announce dates, times, and locations shortly. For more information please visit http://www.tokyorosenthal.com. 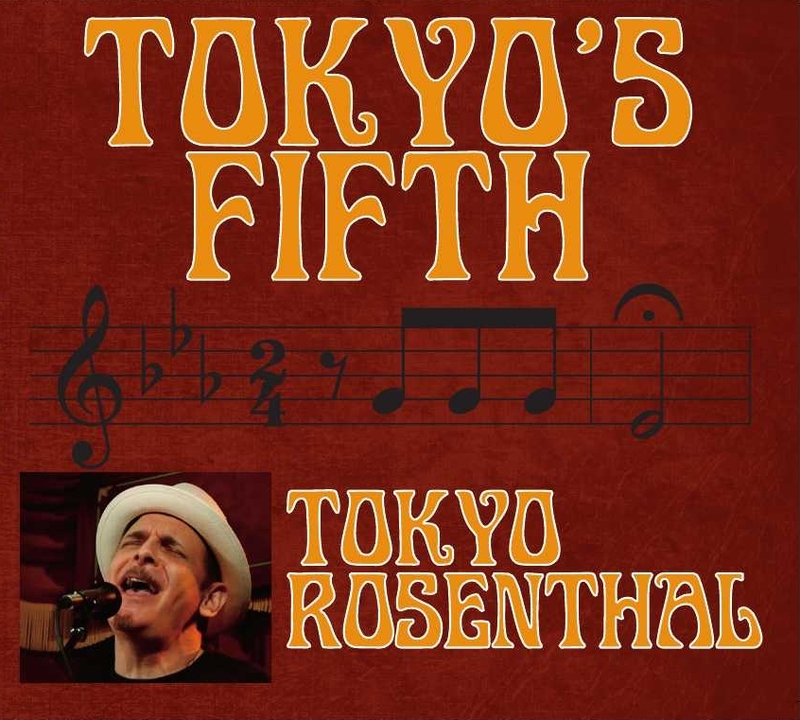 “Tokyo’s Fifth” and other Tokyo Rosenthal CDs and downloads are available at CD Baby, iTunes, Amazon.com, FYE Stores, and most music outlets. March 7, 2012 – Chapel Hill, NC – Rock & Sock Records recording artist, Tokyo Rosenthal, has released a new single entitled, “What Did I Used To Be?” It’s a song that captures the frustrations and shattered illusions of workers all over the globe. Outsourcing, reinvention, natural resources, and desperation are all covered by award winning singer-songwriter Rosenthal. The single, available only by download, is accompanied by a video produced by acclaimed director, Nic Beery. The video can be seen on You Tube (youtube.com/watch?v=LAU_hRBwLTE&feature=youtu.be) and on Rosenthal’s web site (www.tokyorosenthal.com). Tokyo is joined once again on the track by Chris Stamey on bass, Will Rigby on drums, and Allyn Love on pedal steel guitar. “Toke” plays lead and rhythm guitar as well as piano. He also handles the vocals. 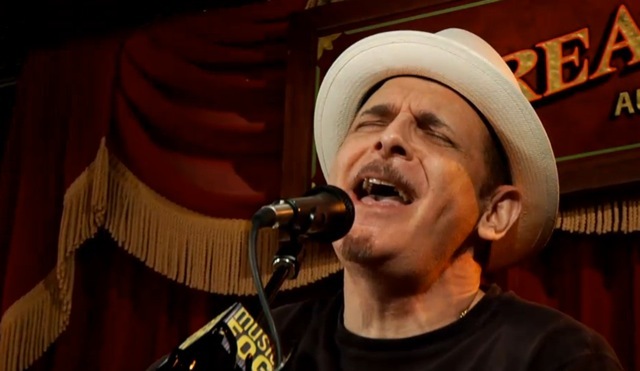 Rosenthal has begun performing “What Did I Used To Be?” in concert to great reactions. He will perform it live on Music Fog from South By Southwest in Austin, Texas as part of their video stream from the world famous festival on March 16th. He will be joined there by his touring partner Charlie Chamberlain on mandolin and lead guitar.